Thank you for this information, only a little bit of which I previously knew. Ewald was my father’s cousin, and was much grieved by his extended family when he died in WWII. His death caused a rift between his mother and her sister (my father’s mother)—because Ewald was an only child, but my Grandma had 5 boys, all survived WWII. Terrible sad. Time has equalized the loss, at this point. Thank you for this story, Mrs. Hoppe Miller. It is really sad. Ich hat einen Kameraden . Einen besseren findst Du nicht ….. This is my first visit to this wonderful site in some time and I am crushed to hear that Nico has passed away. I have spent many hours perusing this site over the years and am grateful to Nico for the wonderful service he performed for the fallen American servicemen. My father was lucky enough to come home from the European theater (2nd Armored Div) and I find it very comforting to see that so many people still care about our men who are resting over the sea. My best wishes to Nico’s family! Does anyone have information on Marvin E. White May 25 1945 Iowa? Wie gut das es im Leben noch Werte gibt welche nicht dem Wandel des Zeitgeistes unterworfen sind. 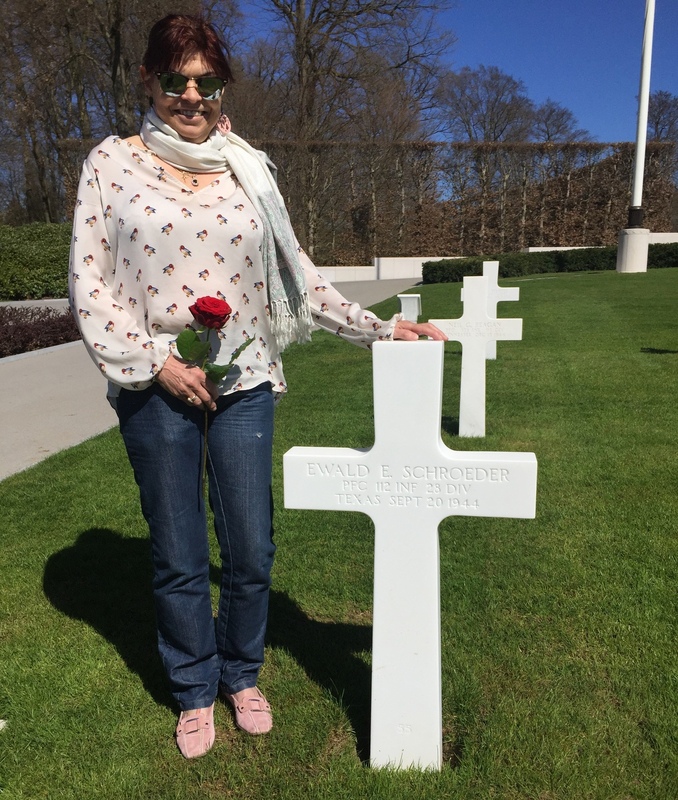 Nico und ich waren so oft auf dem amerikanischen und dem deutschen Soldatenfriedhof in Hamm und Sandweiler. Es freut mich sehr ” The Next Generation ” in unserem Geist hier zu sehen. Thank God for Nico. He did much to preserve the memory of American soldiers, including my father, at Hamm.